VIT comprises of two centric tubing strings. The thin layer of air found between the tubulars is removed; creating a vacuum layer that is difficult for heat to travel across. Therefore, VIT significantly reduces the amount of heat a well loses to its surroundings. 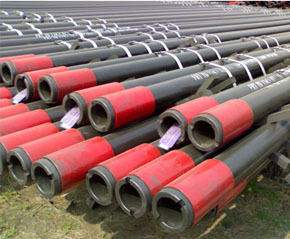 Vacuum Insulated tubing (VIT) reduces heat loss in steam assisted gravity drainage (SAGD) operations, reducing steam consumption; therefore making wells more energy, time and cost efficient. In SAGD operations, steam is injected into the ground to heat the bitumen, increasing its mobility so it can be extracted through a producer well. Both wells must be heated prior to use – a process that can take up to five months. As steam travels down the well to the bitumen-bearing zone, it loses heat. Frequently additional steam is injected to make up for this heat loss, but Vacuum Insulating Tubing (VIT) significantly reduces the need for adding additional steam, in turn reducing the consumption of water and natural gas. By reducing heat loss, significantly less natural gas is needed to heat the water involved in SAGD operations. This reduces greenhouse gas emissions. Additionally, because less steam is needed to soften the bitumen, the quantity of water used is also reduced. Research suggests, that wells equipped with VIT may need as little as 75 days of “pre-heating,” saving time, water and fuel required for wells to begin production. 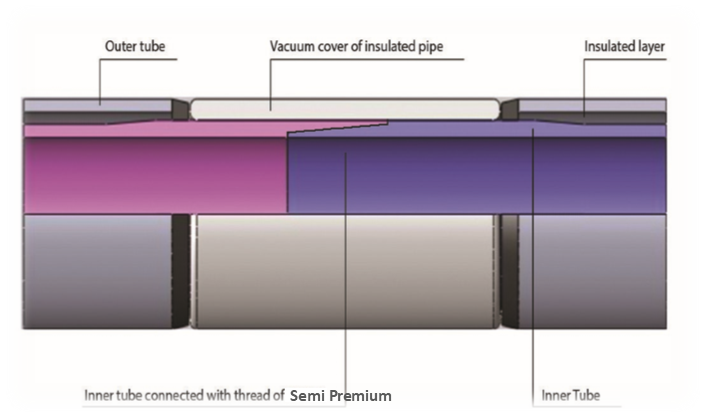 Unlike conventional VIT, Imex Canada’s new premium VIT has only 1 leak path per connection, which further reduces heat loss. The simple running procedure and durability will save you time and money. With premium VIT, the connection is made on the inside tube with our semi premium connection. VIT with other connections is also available.